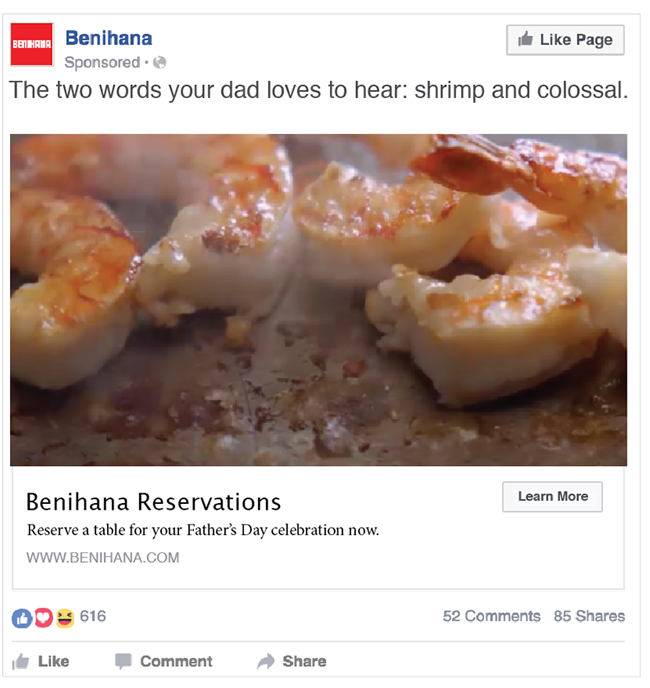 Benihana wanted to remind everyone that they weren't just a place of entertainment nor a place for birthday parties. They were a place that served a full menu of crave-worthy dishes and ingredients. not seen are digital banners, but if you really crave them more than garlic buttered shrimp and fried rice hearts I will happily share.